KPO IndustryAfter the tremendous success of BPO industry, KPO (Knowledge Process Outsourcing) has spread its wings in India. 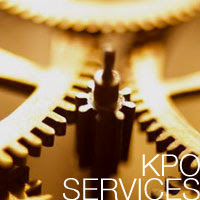 KPO is associated with executing standardized processes. It involves the high potential services that require advanced technical and analytical skills. The areas associated with KPO sector include research & development, advanced web applications, learning solutions, financial consultancy and services, animation & design, medical services, business and technical analysis, business and market research, writing and content development, pharmaceuticals and biotechnology, legal services, training and consultancy, data analytics, network management and intellectual property research. The KPO companies can deliver good quality work at lower costs because of the cheap labor that is available in India. They offer uninterrupted, on time delivery of services. But a Career in the KPO sector is attracting the young generation in India because of the job satisfaction that is provides. Scope of KPO industry in IndiaIn the developing countries like India, standardized technical education is most widely available. The trained and skilled manpower is accessible at low cost. India is said to be one of the most preferred destination for KPO industry because of cost savings, availability of highly skilled manpower, operational efficiencies and improved quality. In India, the workforce is highly educated and well versed with English. Every year, the country is giving skilled professionals in various fields such as IT, education, science, engineering, finance, law and architecture. KPO industry is rapidly developing and widely accepted in India. Most of the people are turning to this option and wishing to develop career in the KPO sector. As the scope of the sector is vast, the bachelor of any discipline can get excellent jobs in the KPO sector. Presently, India is emerging as a hub for the KPO companies. India is considered as one of the most preferred KPO destinations. There are numerous well-established KPO companies in the country. Some of the best KPO companies in India are Genpact, Evalueserve, Ugam Solutions, WNS, 24/7Custmoer, ICICI OneSource, EXL Service, Copal Partners, Pangea3 and TechBooks. Due to presence of several KPO companies in the country, one can surely opt for career in the KPO sector.